One of the best things about having out-of-towners come into the city is taking them on a "must-see" tour. 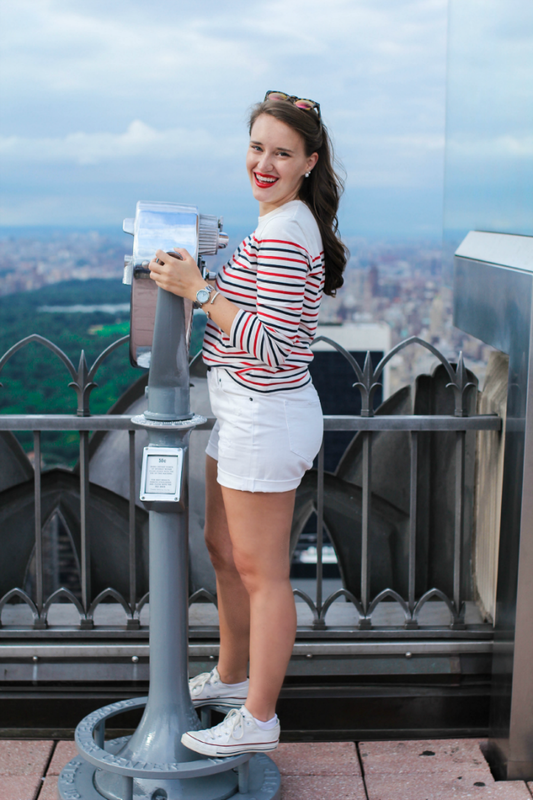 One of my personal favorite spots in the city and a place I frequently take guests is the Top of the Rock. The very best views of the city are found here and on a day where the weather is cooperating, it's simply breathtaking. 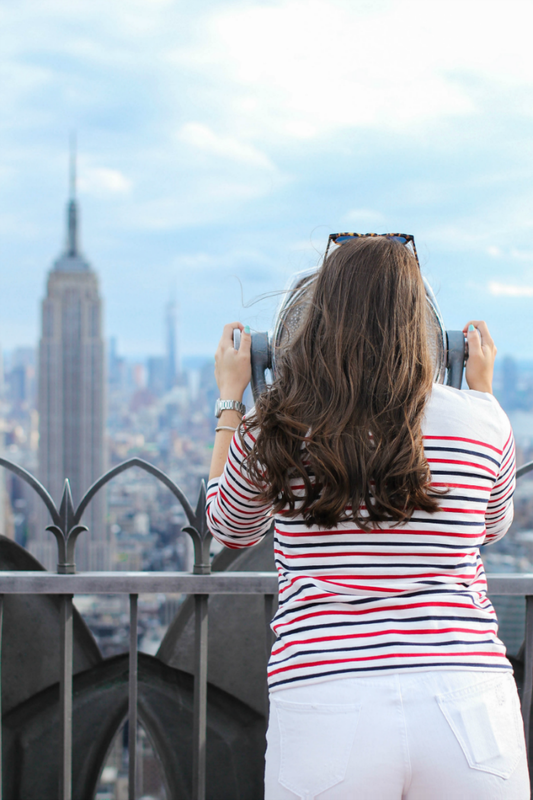 The most common mistake I think people make when visiting is going to the top of the Empire State Building. What's the point of being IN the most recognizable building in the world? You want to be able to see it in the skyline! That's why you go to the Top of the Rock (aka Rockefeller Plaza, aka 30 Rock, aka The Rock). Piece of advice: buy tickets online the day before! That way you can avoid terribly long lines, higher ticket prices and you can pick a specific time you want to go! We went last Sunday and the whole day was spent walking around the city and my feet were barkingggg so I changed in to my Chucks and was much, much better! That paired with a stripe top and denim shorts was the go to look for the day. Cute and casual. 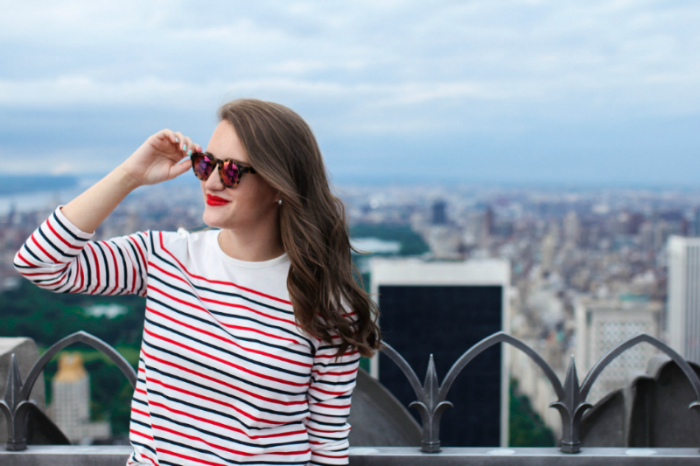 Perfect for a day spent around the city! Super cute! 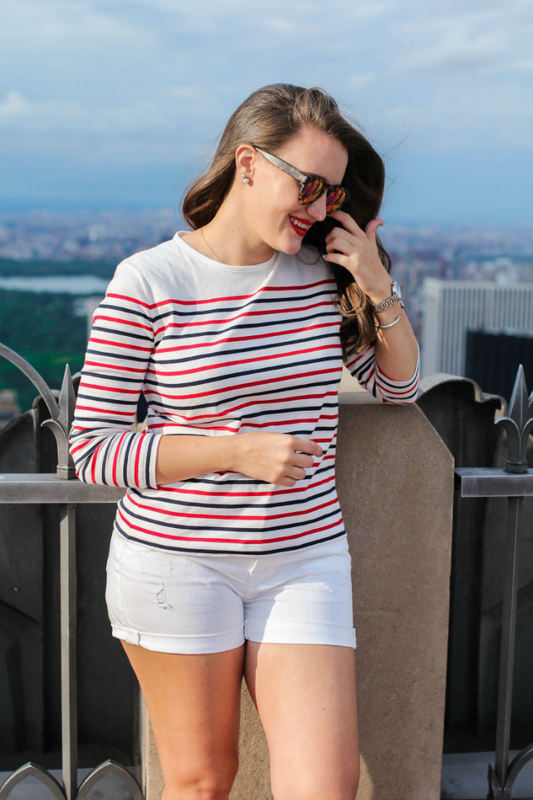 I love the casual red white and blue! Love this outfit! Thanks for the tip about the best place to see the city as well. We plan to come to NY next year and I will definitely remember that! What a cute look on you! 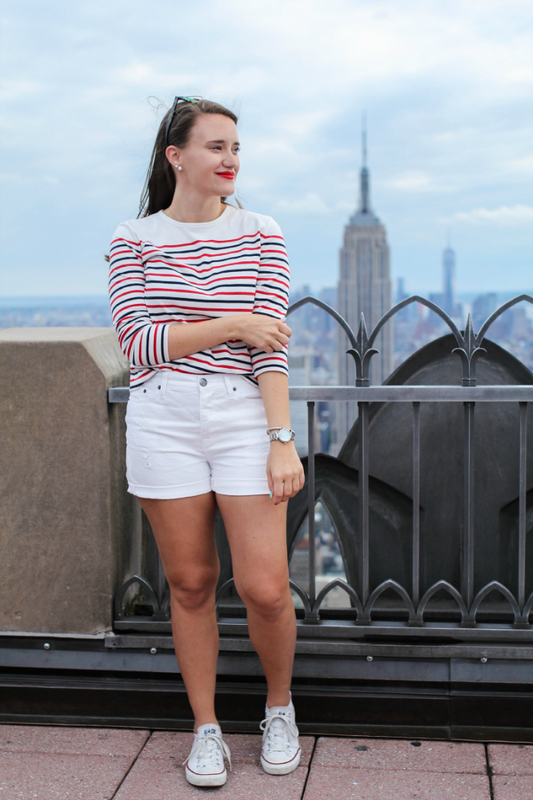 Love white and stripes, good to know to visit The Rock. I have never been to NYC,but would love to visit soon and it is great to learn tips like these :) Haha love the term your feet were barking! Brilliant. 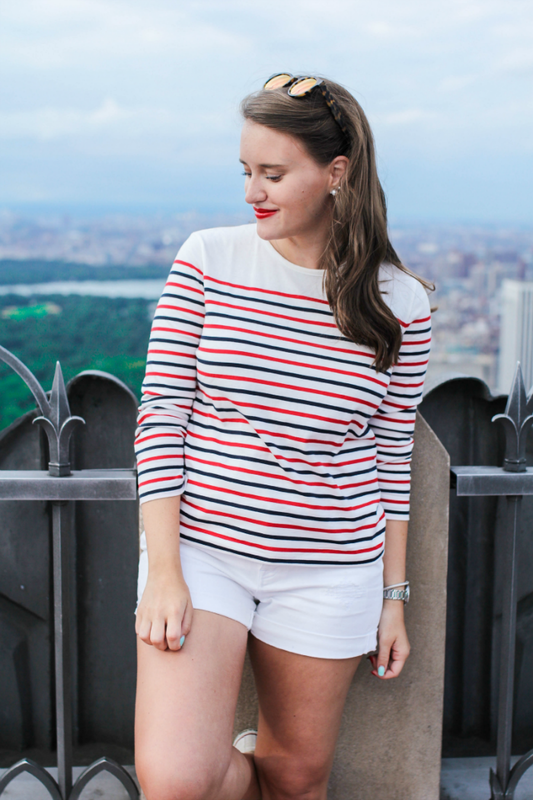 I love that striped top, but I love anything that includes red, white, or blue stripes (or all three)!